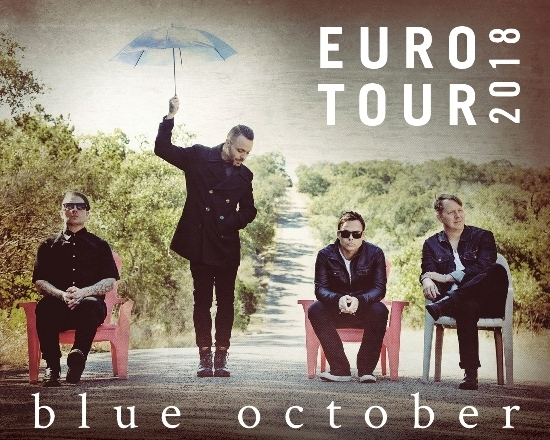 Texas alt-rockers Blue October return to the UK in March 2018 – without their lead guitarist. Matthew Ostrander quit the band at the start of the year, making the quintet a quartet – Justin Furstenfeld on guitar and vocals, his brother Jeremy on drums, Matt Noveskey on bass and Ryan Delahoussaye on violin and piano. Matthew's guitars can be heard on some of the tracks on Blue October's forthcoming album, I Hope You're Happy, including the title track, which is the just-released first single. The UK tour begins on March 16 at Manchester's O2 Ritz and ends on March 24 at Birmingham's O2 Institute. Justin says: "I'm honestly more excited than ever to return to England. Everyone who knows me knows I grew up living and breathing bands from the UK like The Cure, The Smiths, Joy Division, The Cocteau Twins and Stone Roses. These artists taught me how to write and feel through music. I'm in love with the UK, now and forever." 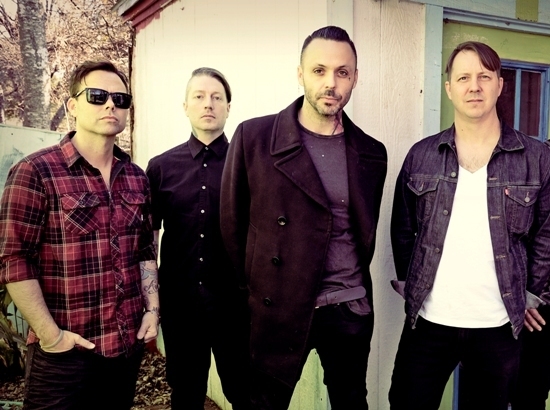 Formed in 1995, Blue October's original line-up was Justin, Jeremy, Ryan Delahoussaye and bassist Liz Mulally. Debut album, The Answers, was released in 1998, the same year that Liz was replaced by Matt Noveskey. The band were keen to be a five-piece so recruited a lead guitarist - and over the years a number of different musicians have filled the role. Matthew Ostrander joined in 2016. A platinum-selling band in America, Blue October boasts ten top 40 US singles from eight albums. They are best known for their singles Hate Me and Into the Ocean from their 2006 platinum album Foiled. Other big-selling albums include 2009's Approaching Normal, 2011's Any Man In America and 2013's Sway. Their last album, Home, released in 2016, hit number 1 on both the Billboard Alternative Chart and the Independent Chart, and number 5 on the Billboard Top 200 Current Chart. March 24: Birmingham, O2 Institute.